Firstly I must apologise for not being as active as I’d like on this site, 2019 is the year for that to change. So, how are we all? How is 2019 treating you so far? Obviously I’m back to blogging and uploading new content to the site and for my first blog I’ve got some exciting news regarding Matts Macro Classroom sessions. I’m happy to say that I will now be offering my classroom sessions out to all primary schools between Edinburgh and Glasgow, well, to be honest I haven’t really put a distance limit on so please feel free to contact me and we can discuss. What does the session contain? Simple, Fun, Informative and an Educational approach to conservation, biodiversity and in most cases a chance to get up close with some beautiful insects like praying mantis, stick insects and so on. The sessions will be held by me, in your classrooms, and sometimes I may have help from Apithanny Bourne Chair of East Scotland Butterfly Conservation. Session times can be 30/45 minutes long, and more than one class can be seen in the day, in fact I hope that’s the case, or if the school has an eco-club we can do it with them too. If you don’t have an eco-club we can discuss setting one up. Me(Matt) With a Praying Mantis (Empusa pennata) that crawled up my head whilst in Greece. Absolutely nothing, just your time and attention. I’m doing this in my free time in between working shifts. What do I plan to achieve? Through each session I want to inspire each and every one of you, children to adults. I want to showcase the beauty of the natural world, I want to set a spark that ignites a passion for conservation and awareness of the natural state of our wildlife and environment, to wow each pupil so that next time they see a spider scuttle across the floor they won’t squish that spider into the carpet and scream, but instead learn to appreciate all wildlife no matter how big or small, learn to be intrigued by it, to see it’s worth and ultimately protect it. We will discuss the environment and ways in which the school can help local wildlife. 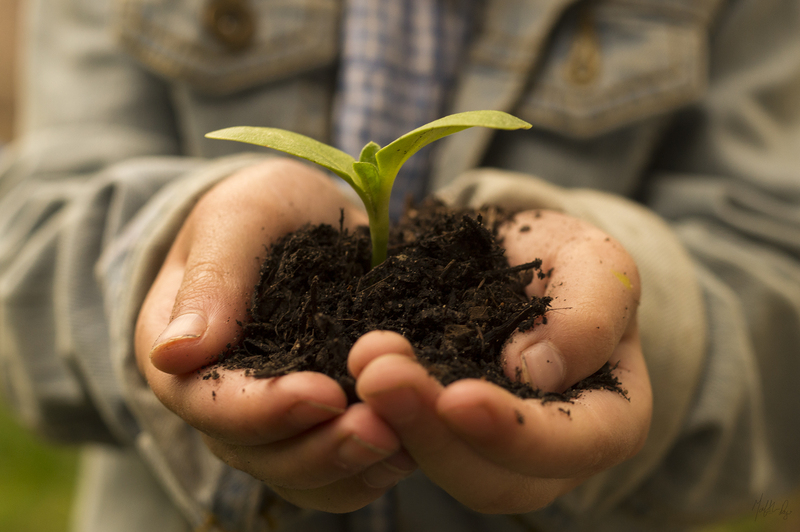 Grow Wild UK have kindly donated wildflower seed kits for each school taking part, and I will be on hand for some of you to help sow and maybe plan out these gardens or wildflower areas with you. It won’t be preachy, I won’t be pushing my own ideas, it will be a fun and educational session for all. Yes! I do it in my daughters primary school often, if A reference is needed, just let me know. I’ve done it both here in Scotland and back in England before we moved up. Last year I’d arranged a FaceTime Question time with Chris Packham CBE and the schools eco-club, it was amazing, with a few of the teachers fan girling a little. This sounds great, how do we get involved? So, if this is for you and your class/school/club then simply drop me a message on any of my social media platforms, or simply drop me an email at mattd2012@yahoo.com . From this point we can discuss dates and times and get you booked in. We share this planet with so many amazing creatures and it’s up to us to do our best to conserve it! Together we can make a difference. Mediterranean Macro Holiday June 2018! 2 blogs in one day!! You are being spoiled now! So, last year in June 2018 I teamed up with Greenwings to offer my Mediterranean Macro Holiday for photographers of all abilities. The holiday was focused around learning various Macro Photography techniques whilst out in the field, although one guest simply chose to paint scenes from each day, and they were brilliant. We stayed at the awesome Limneo Guest House at Lake Kerkini and ventured in and around the surrounding lakes, mountain and meadows. Every morning we enjoyed a nice breakfast prepped by Nikos and his family, from homemade jams to beautiful pastries, cereals and scrambled eggs, truly a great way to start the day. After some food, and a few coffees we grabbed our gear and loaded up the minibus, we were always keen to get out and make the most of the day. The first day we always take it nice and easy and stay very local exploring around the lake. It doesn’t take long to find wildlife around here, the diversity is amazing, we had Bee eaters and Rollers spotted just as we drove a short distance to our first stop, beautiful birds. The lake itself is amazing for wildlife and often a hotspot in the winter months for the Pelicans, and any area rich in birds is going to be rich in inverts! In the day we like to mix it up, staying a few short hours at each spot before moving on to different areas. Coffee and Ice Cream stops are always a must. Packed Lunch is provided by Nikos and his family and its always fresh and tasty, although on some days we like to switch it up and eat at a local taverna for lunch. Each day we find something new and interesting in every area we visit, no matter how high or low. We practiced stacking techniques, using flash or natural light and when which one is suited best. We talked about hand hold techniques, using tripods, you name it, we discussed and practiced it. We learn how to get close to subjects without scaring them. After a fun filled day we all retire to our rooms for a freshen up and rest. The village has a few local tavernas and bars, this is where we would recap on the day over a cold beer and hot food. The area is truly amazing, so much to find and photograph. If you like the sound of this holiday, click here and book now 🙂 Below is just a few shots from 2018’s trip. I hope you join me this year, there’s only a few spaces left! So! Social Media, there is no escaping it, it’s a big part of our world, Facebook, Twitter, Instagram……Lot’s of variety for every user, 7.3 billion people in the world and of that, 3.17 billion have access to the internet in some way or another, and of that, 2.3 billion are active on Social media with the average person owning 5 – 6 different accounts. Now, why am I banging on about social media? I’ll tell you. Social media gets lots of bad press, Cyber bullying, A false sense of connection, No privacy etc but it can be used as a very effective tool! And I have the perfect story to show you how! I use male grooming products from a company called ‘Wingman’, more specifically I use the Face Scrub. I noticed that the scrub contained some form of roughing agent to exfoliate the skin and with the impact some of these exfoliating agents have on the environment I was curious to find out what exactly they was, so, using my facebook account I contacted them via their business page. A few days later they replied, and told me that they would contact the manufacturer to check. A few weeks passed and they contacted me again to say how disappointed they were to find out that polyethylene is one of the 3 exfoliating agents used and despite extensive checks at the formulation stage this must have been overlooked. They seemed genuinely disappointed and assured me that they would be in contact again. What struck me was how concerned they were, and at how fast they got in contact with me, a pleasant surprise. Wingman have now confirmed that they have notified the manufacturer and the polyethylene will be removed in the next batch, leaving them with a plastic free face scrub using only natural scrubbing agents. Perfect! Not only do Wingman donate some of the profits to help the heroes, they now help our planet by not cutting corners and using the cheap mass produced micro beads. Other companies should take note! So, just by me using my facebook account, to send a simple 5 minute message, I have not only highlighted to a company what they were doing wrong and how it was impacting our environment, I’ve just actively made a contribution to conserving our planet and wildlife…..and it took me all of 5 minutes to get the ball rolling. …..And to Wingman, Thank You, Thank You for being a shining example for all other companies to aspire to! Wingman have a slogan ‘ In Wingman We Trust’ and now we certainly can! I haven’t blogged in a while so I thought I would 🙂 Starting with the review of the Venus LAOWA 60mm f2.8 2:1 Macro lens. I was sent this lens by Venus Optics a few weeks back and decided I would take it to Greece with me on my wildlife guiding trip to test it out, although this lens has been in the market for some time, people still haven’t herd about it, which is odd as its a fantastic lens. The lens comes with a nice little padded pouch, but no hood, this is no issue for me but other macro lenses do come with them. The build quality seems really robust, all metal, which adds strength and durability that other similar macro lens lack. It’s important to note that this is an all manual lens, so along with manual focus you will have to set the aperture using the dials on the lens. I always use manual focus anyway but the setting of the aperture on the lens was new to me, and…… I kind of liked it!. I found it easier and quicker to change meaning less photo opportunities missed. 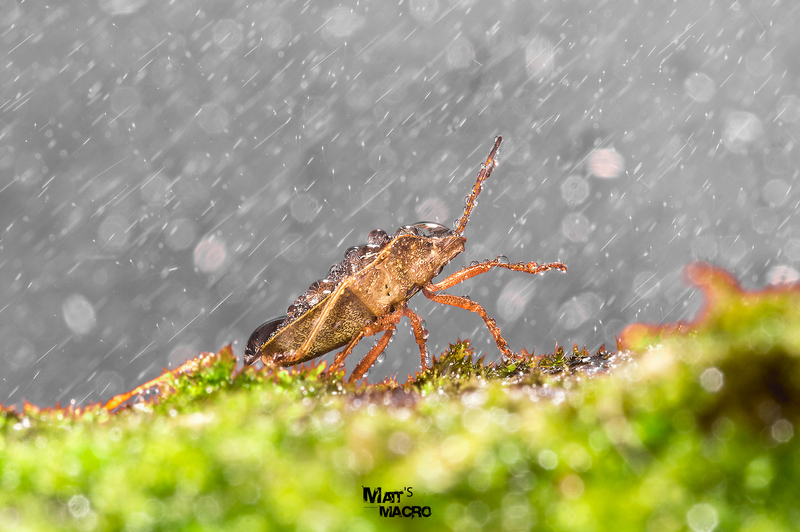 If you are a macro photographer like me then you know all too well that an insect can jump, crawl or fly away in an instant and you missed your shot because you had to look at your camera to change F stop, with this you don’t, you can move the dial just as you would a focus ring whilst composing your shot, simple. I was keen to try this lens out using only natural light mounted on my Canon 6D and it didn’t let me down, the bokeh rendering compared to other macro lens was just superb, smooth and slightly saturated colours and a sharp subject matter making the image pop. I did suffer some vignettes using this lens for portraits, but it is designed for Crop bodies so that was to be expected using it on a Full Frame 6D. It doesn’t effect macro what so ever. I wish I could have tried it out as a portrait lens, maybe they will release a full frame macro lens in the future. I had read that some users also suffered from a warm orange tint to their photos when using this lens, But I didn’t experience any of it. The lens is a tad heavy compared to others, but its strong reliable build reflects this. All in all I would definitely recommend this lens to my friends and fellow photographers, It will be a regular in my camera bag from now on. Reasonably priced, quality build and 2:1 macro without the need for tubes, it’s an absolute little beauty. If you have just started to get into macro but want to get that little bit closer, then this is the lens for you! More shots will follow over the next few months! We have been doing the challenge since Day 1, in fact we started a tad early and had a nice trip to a local meadow, walking and relaxing a few days before. Day 1 – My wife and her friends went to a local park, bug hunting and tree climbing whilst I did some bug hunting. This is one from Day 1, even made its way onto the BBC Springwatch website. Day 2 – We had a nice walk to another local meadow which we have never visited at this time of the year. The girls getting ready to record the species in the Bioblitz. We love the Garden Bioblitz, such a fun way of introducing the kids to the wildlife in your garden, and at the same time recording and discovering beautiful creatures! The first thing we discovered, after moving some rocks was this Red Ant nest, the girls were amazed! Amber inspecting with a pot ready to capture whatever scuttles out. After a 2 hour period we began to list and ID all species we found and have some lunch. Some list that for 2 hours in a small garden!!! Of course, I had to get a photo of those Ants with my Macro Gear! I have thought long and hard about writing this post, it’s been playing on my mind for a good few months, and today I’ve finally plucked up the courage to write and share this you. 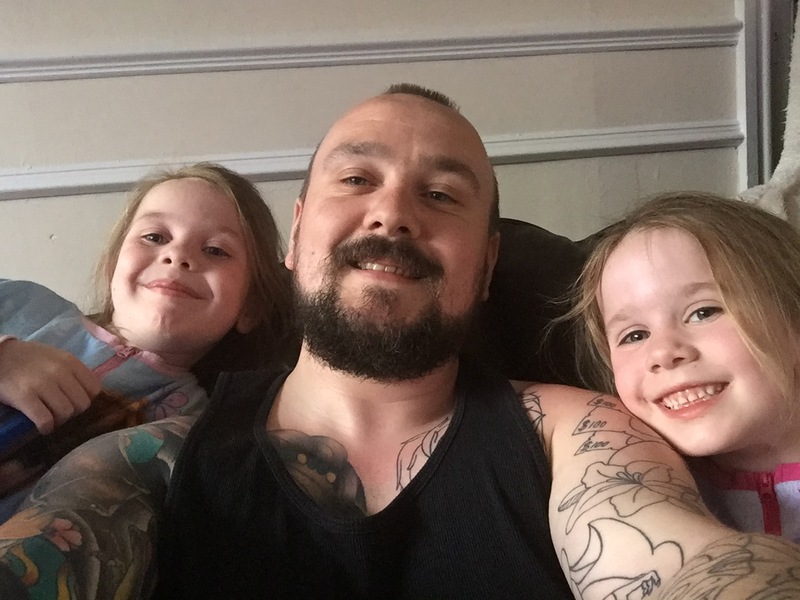 My name, if any of you don’t already know is Matt; I’m 31, married, a father of two beautiful young girls, Jasmine and Amber, and 5 years ago I was diagnosed with depression, anxiety disorder, acute paranoia and anger issues. The fact is, I had been suffering for years before hand but I never realised it. Before the diagnosis I was living a normal life, or what was considered ‘Normal’ to me anyway, until one specific week where everything just ‘happened’, for some reason my whole world began to fragment. It started with anger issues, losing my temper at the smallest thing; it could be as stupid as the heating not coming on in time for a bath or someone asking me to do something. I found myself punching walls, kicking things, shouting at my nearest and dearest, I’d be so full of rage that I would just burst into tears…and I didn’t understand why. I began to blame it on my childhood, I come from a broken family, my mum and dad got divorced when I was around 10 years old, My mum had been diagnosed with MS and steadily got worse leaving me as one of her main carers and we had a mixed relationship, this was no secret to my family and close friends, she was frustrated daily, and I’d often be on the receiving end of it and as a child and teenager I didn’t understand why, it was very hard and for years this is all I could remember of our relationship, I blamed my anger issues on this. My dad, if you can call him that, disappeared from my life when I was around 14-15, not his choice, but mine. He had no time for me, and years later it was thought he was dead in the Tsunami that hit Thailand, only for it to be revealed in the press/media that he had been picked up boarding the plane and arrested for a disgusting crime, it broke and shocked me. I never really dealt with any of these issues, until that week where everything in my head just broke down, I began to question why this happened to me, this quickly spiralled into me questioning why anything was happening to me, whether it be an argument, a fight, losing money, anything that didn’t go my way I thought the world was against me. This led to my depression, I began to question why I was even here and I made an attempt on my life, a few times. Thinking back, I doubt I would ever have gone fully through with it; it was more a cry for attention than anything else. Over the next few weeks things got worse, my weight plummeted, family and friends began to ask if I was ill, I would shrug it off and say I’m fine but inside my head was broken…I was broken, I had gone from 13st to 9st in a matter of weeks, but, my first beautiful daughter had arrived and I had to be strong for my wife and my daughter, so I put on a front. Then the anxiety and paranoia set in, sweat would pour from every part of me, I couldn’t walk to the shops or go anywhere without fear of someone attacking me or confronting me, in work I thought everyone was conspiring against me or talking about me, I couldn’t sleep, and then I would be over sleeping, I’d be happy some days, then extremely sad, angry, worried. My head began to get really busy, really fast, I couldn’t cope, I can only describe it as 100 people trying to talk to you at once…My motor was going at 1000% and I was about to burn out. I just wanted it all to STOP!! 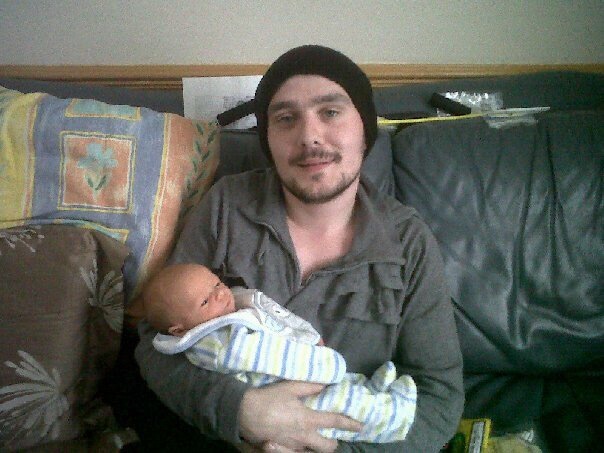 Here I am holding my new born nephew, I was very ill in this picture. 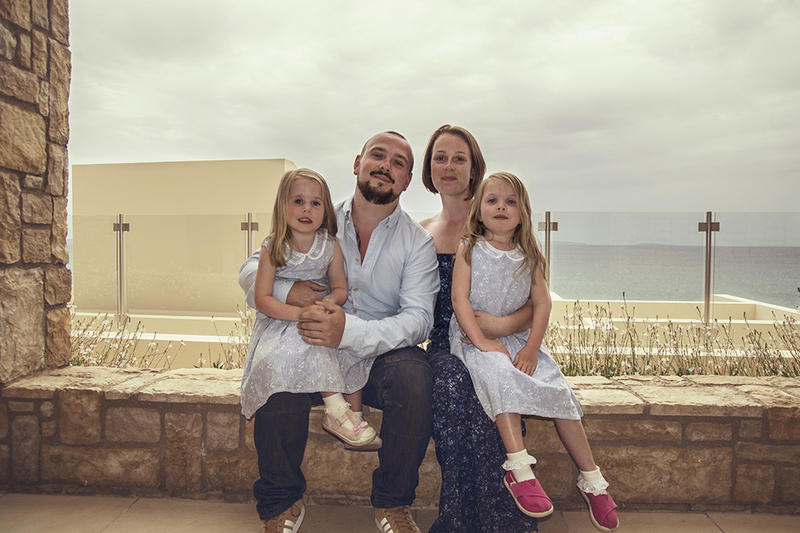 This carried on for around 2 years, until my second beautiful daughter arrived, how I had managed to get this far was a miracle itself, and that’s when the moment of realisation set in, I couldn’t be like this anymore, I can’t keep going through life questioning everything, blaming my issues on everything that was happening around me, blaming it on my past…I was ill….Mentally ill, it was nobody’s fault. It sounds bad reading that doesn’t it, well its even worse having to admit that to yourself when you’re in denial, at least that’s what I was thinking at the time. I decided, with the help of my wife, Mother and Mother-in-law I would go see a doctor. It took me a few days to pluck up the courage to ring them, my body sweating and heart racing but I did it, I made the appointment. To begin with I thought it would just be waste of time, until I attended the appointment. I sat in the waiting room, looking like I’d just ran a marathon, twitching, twisting, sitting up and down, heart racing, breathless, head going into over drive, a panic attack. My name was called, it was called again, I couldn’t move, again my name was called, I got up and entered the room. ‘Hi Matthew, what’s the problem, how can I help ‘and at that point years of anger, sadness, worry and thoughts burst out of me in the form of uncontrollable crying, We spoke for what seemed like hours, or more like I spoke and he listened. He diagnosed me on the spot and referred me for counselling and anger management classes, I was also prescribed anti-depressants. I was also given a 6 month sick note from work, that’s when I knew it was bad, it was real. I struggled over the next few months, I’d still have moments of anger and sadness, highs and lows, and having a better understanding of it didn’t always help the situation. Even with the help and understanding of those closest to me I still needed something, I needed to preoccupy my mind, I needed an outlet, I needed something to do, and that’s when the photography started. I’d had a camera for a few months, but not really done anything with it, I decided I’d do some research and found a great photography forum called ‘talk photography’ aptly named as I needed to talk and learn photography. I put my first post up introducing myself as a newb and was greeted with a warm friendly welcome. It was easy as I was talking to people but not actually face to face. I’ve always had a keen interest in the natural world from being a small boy, I used to collect a weekly dinosaur magazine where you could build your own T-Rex model, I’d collect different gems and stones, even wildlife cards from sweets and other magazines, this passion that had lay dormant started to erupt back to life, and erupted life back into me. I began to attend some photography meet ups, I met some really nice people, and it got me out and about socialising with a group of people I would never had socialised with before. I started to get better at photography, staying up at night watching youtube videos or asking for advice on the forum and reading photography magazines. I couldn’t get enough of it. I dabbled in every genre I could, learning and progressing myself. I entered a few competitions in magazines and won a few, I gained confidence in my work and myself as a result. One genre in particular I loved, Macro photography, Looking through that lens gave me insight into a small world, a new world, a world where all my worries and stresses went away, they didn’t exist here and I loved it, with each shot everything would stand still, just me and the subject in front of me, the only noise was my breath slowing as I began to focus and concentrate, composing, waiting for the right moment to capture, and then the elation of looking back at the moment I had just captured. Photography has not only helped me through my depression, stress and anxiety, it has opened new doors, a new way of life, and it helped me survive. 5 years on, I’m still here, but a better version of myself. I’ve both gained and lost things. My Mum passed away in 2014, The last few years I had with my beautiful Mum before she passed away in her sleep were some of the best, reminiscent of my childhood when I was a small boy, I’m glad that she seen me come through my depression and grow into the man I am today, she seen me get married, she had time with both of my daughters who miss her dearly, she loved how I was becoming known as a photographer, being published in magazines and appearing on BBC Autumnwatch, she would show off to anyone who visited the house. 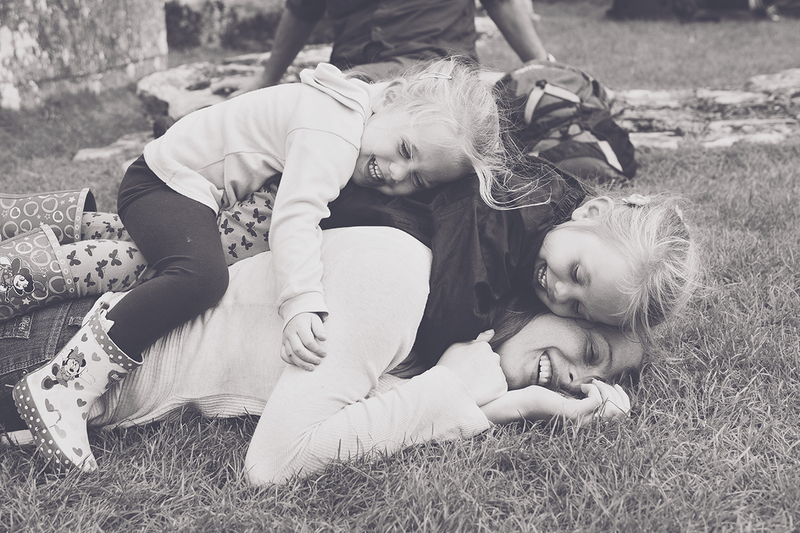 My wife and my two girls are my world, everything I want and need. They get me through when everything else fails, including photography. I’m going from strength to strength and recently I even had an exclusive gallery of my work with National Geographic, from being suicidal to this, the pinnacle of my photography. I would never have thought it possible. In 3 years I have completely transformed my life, and my attitude towards life. I’ve created a conservation group with a bunch of fantastic inspiring people aimed at getting young children and families to do more for our natural environment and wildlife. If you would of introduced the current me to the me of 5 years ago, I would have laughed at him, mocked him, now I see things very differently, we can all change, we can all be who we want to be. I will never be free from depression, I still have high and low days like anyone else, but that’s all they are ‘Days’ , every one of them is different, and I can accept that. I can lock it behind a door and get on with my life. Me and my girls now! There are a few reasons in which I’ve decided to write this blog, first and foremost for myself, one last bit of therapy and acceptance of who I am and what I am, and I’m proud of that, and if you are reading this going through similar, then you should also be proud of who you are. I have also recently been inspired by the likes of Chris Packham and Wentworth Miller for speaking out about Mental Health. If they can be open and tell their story to inspire and help, then so can I. The society we live in is improving in terms of mental health awareness. Mental health is being shoved more and more into the limelight, and as a consequence lot’s more people are getting the confidence to get the help they need. I hope this helps you too! There are people close to me who are going through a tough time right now, and I hope, after reading this, you will see that there is light at the end of the tunnel. Many of you don’t know this story, my story; you only see the smiling face, but now you know. I hope you have read this with an open mind, and try not to look at me with the stigma that still surrounds mental health. I’m still me, still Matt. If you would like to follow me on my photographic journey then check out my facebook page. Me and my happy life. Wildlife, it’s all around us you may think, but stop what you’re doing now and have a look around? Unless you are lucky enough to work in the countryside or national trust parks etc the chances are what you see around you right now are man-made structures and concrete. Yes we have national parks and yes we have farms and local parks, and if you are lucky some of you have beautiful gardens and that’s great, it’s a massive help, but it’s not enough. Our wildlife has been in a rapid decline for some time and one of the main reasons is that there are not enough places for our wildlife to habitat, but we can change that. How you might ask? Easy! #WildWorkPlaces! Let me explain more. I was walking around the factory grounds where I work a few weeks back and noticed lots of the land that my workplace owns was just baron and not being used, square meters upon square meters of it. Madness! I can almost guarantee that your workplace is the same! This is where #WildWorkPlaces comes into play, lets utilise that land! I spoke with the MD of the company I work for and put across the idea of turning this land into a wild-flower meadow and/or a works garden. I told him how our wildlife, especially Bees, is in decline and we as the superior species of this planet should be doing something about it. I told him that with the companies funding and the donated time from some work colleagues we can make a difference. If we can utilise all this wasted land across the 100s and 1000’s of workplaces in the UK, even the world, then we surely will have an impact on our wildlife. Guess what….He Agreed! I could of kept quiet and not said anything, I could of just watched this land go to waste, now however I know that by next year, I, with the help of others, would have created a nice new habitat for the local wildlife, a place for my work colleagues to go and relax, but most importantly a place to give the local wildlife a helping hand, and that makes me feel very proud! Now all workplaces are different, I understand that. Some of you may work in an office block in the town centres and may be sat reading this thinking, we don’t have any spare land! But you could however hang some baskets up or put some pots/planters at the entrance to your building, not only would you be helping the local Bee’s and Butterflies that fly past, you would also have a nice welcoming entrance to your building. I for one know that I would much prefer walking into work through a doorway with a nice floral display than a bog standard plain average one! Every little space can be utilised in some way. You may not have access to soil or grass, that doesn’t matter, pots, tubs and wooden planters can easily turn a dull concreted area into a beautiful floral masterpiece, add some benches and hey presto, you have a nice works garden, a #WildWorkPlace. Still not convinced? Then imagine this, it’s your break time at work, the sun is shining, the skies are blue, but you’re stuck in the works canteen eating your lunch. Wouldn’t you much prefer to be sat in a works garden watching the local wildlife pop in and out and relaxing in the sunshine? I know I would. At night time these #WildWorkPlaces would become a haven and safe place for hedgehogs and other small mammals. We really can make a difference. I am in between talks with the Royal Botanical Gardens at present, I’m hoping that they can come on board and help spread the word and donate windflower seed packets to anyone who is willing to make that difference, but you can buy bulbs and seeds very cheaply, most of us have the odd plant pot knocking around the garden unused that could be donated and transformed into a passing buffet for our Bee’s. If you have land around your workplace that is overgrown, then it may be best to leave it as it is, one man’s wasteland is another man’s treasure, what I mean is that overgrown area would already be teaming with wildlife. I talking more about the large concreted areas that lay waste doing nothing. If all the industrial sites across the country took part we could create a national wildlife corridor! How awesome would that be. Now you have read all this, hopefully you’re fired up ready to make a difference, great stuff! Print this blog out and show it to your boss, show it to your colleagues, if your reading this on a mobile or tablet whilst on a bus or train then please turn and share it with someone who is sitting next you. Share your pictures on facebook and twitter, and Instagram, you can use the hashtag #WildWorkPlaces. Share with the world what you are doing! Show us how you are helping! I challenge you to make a difference! No! I ask you to make a difference. When you arrive at your workplace please go speak to the people in charge, speak to your friends and colleagues and get them on board! Let’s utilise this wasted land, let’s not sit back anymore and watch our wildlife dwindle, let’s take back some of this land and give our wildlife a helping hand! It doesn’t just have to be a workplace, if you are at school, college or university, wherever you see wasted land, lets utilise it! If you plant it they will come! I can’t wait to see what you do!